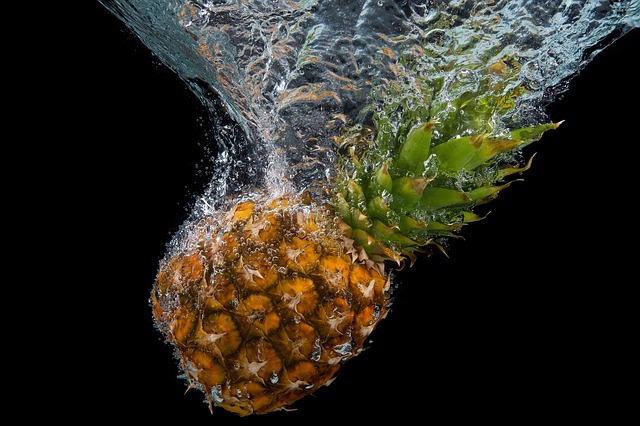 Pineapples have quite a high water content and eating them will hydrate the body. Hydration is necessary for a healthy and properly functioning body. Without enough water, the body cannot carry out the metabolic processes and leads to dehydration, exhaustion and lethargy. It is also responsible for headaches, kidney problems and dry skin. Eating pineapple frequently will help you feel fit and healthy, while giving you glowing skin.